We've been contacted by experts from all over the world to be interviewed for the FX Medicine Podcast. Firstly, who do we interview? Our podcast welcomes health professionals or researchers with valuable clinical insights to share relevant to the health and wellness industry. When and where is the podcast recorded? We record our podcasts on two dates of each calendar month. Please contact us to find out when these are. We work on Sydney, Australian time. AEST or AEDST in Daylight savings (October - April). If you're an international guest - please let us know your timezone/location so we can work out how to best align the schedules. How are the interviews recorded? Our interviews are recorded as audio only. We do these via a phone call for optimal audio quality. Ideally a landline, or a mobile (cell) phone with good, reliable phone reception also works fine. (NB: Our recording studio calls you, you do not have to call us). We can also accomodate skype, though we find the audio to be unreliable in quality. What information do we need from booked guests? A longer version of your bio (or the same bio) can be used by way of an introduction to who you are at the commencement of the podcast. We will also need your best contact phone number for the interview and an email on hand to liaise with you regarding the podcast release. If you're putting yourself forward for a podcast, please take some time to familiarise yourself with our style and format for podcasts. We like to record clinically relevant interviews, pitched to a health professional audience (peer-to-peer) that is typically centred around a specific health condition (for our regular podcast) or career/industry specific interviews for our Industry Insights. Please provide us with a brief for the areas you would like to cover, and, ideally, some example questions would also welcomed. So we can get to know you, please send us your website URL (eg. "About Us), your LinkedIn details, or links to your bio, books you've authored/ papers you've published, details of your credentials etc. [Optional] You might like to send us a video or audio file outlining your idea. We have a wide-variety of podcast guests, covering a plethora of health-oriented topics. Our listeners come from all over the world. As a guest on FX Medicine, you're potentially exposing yourself to an audience of up to 200,000 people, or more, per month. More importantly, this audience is like-minded, engaged and potentially, ready to act on what they're learning from their peers through our program. As a result of being on the FX Medicine podcast, virtually all guests report an increase in international contacts and client referrals as well as other interesting business opportunities. Those who are authors, will often report a jump in book sales and for those who are interviewed ahead of a conference or seminar appearence, the feedback we receive is that those conferences and courses go on to have a surge in bookings, and in some cases, sell out completely. FX Medicine promote the podcast on release to our growing social media community and many of our community members love to share and repost our content. Our various social media platforms are also continually rolling through our new and old website content with the help of a social media scheduling system. The wonderful thing about a podcast is that it continues to gain new listeners even several years after the initial interview. We cross link to other episodes in newer content and we also regularly share our older podcasts into our eNewsletters. We also have a number of partners that reguarly use our content in their social media and eNewsletters, or referenced in blogs etc. There's so many ways we re-use, and re-purpose content, so there's always an opportutnity for older podcasts to have the spotlight shone on them. Yes, FX Medicine content can be featured on your own blog or website, we just have a couple of guidelines you need to follow. Firstly; Ask permission for the particular content you would like to feature first. Let us know where it will be located, and we must be able to access the content you feature. At the header of the article please include the text: Original content sourced from fxmedicine.com.au <-- Please link the underlined text through to the original piece. All images and infographics on FX Medicine website are subject to copyright and remain the property of FX Medicine and must not reproduced or altered without prior consent. There are a few different ways to share FX Medicine podcasts with your audience. To embed specific episodes, to play directly from your own blog or website, we have 2 preferred methods: Video (Vimeo or YouTube) or Audio Player (Stitcher). Video is the ideal method if you want to visually include the episode. This method is also ideal for podcast interview guests who wish to link to the episode they've been a part of, as it features the interview guest's title slide (bio and headshot). You will find this video on the FX Medicine website and can follow it back to Vimeo or YouTube (whichever is relevant to your episode) to source the embed code. Stitcher has the flexibility to embed the audio play for a single specific episode, or the whole player so your audience can scroll through all episodes. You can see an example of that here. The stitcher player comes in a couple of sizes, so can be scaled to suit your needs. 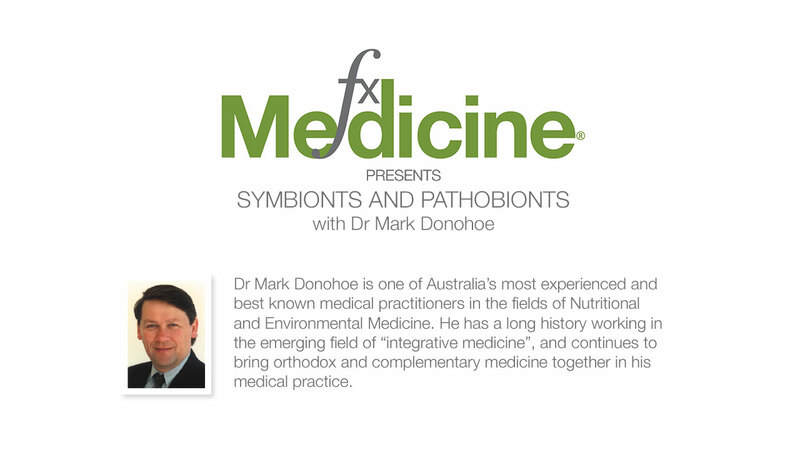 NB: With embed links - we ask that you please also include a link to the FX Medicine website (either the homepage, or the individual podcast episode). Please see details below regarding hyperlinked text preferences. Please contact us for the relevant embed codes. eg. 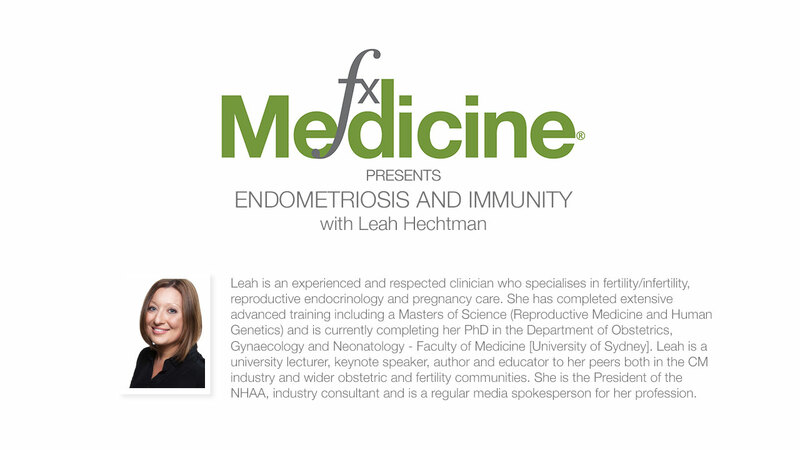 The latest podcast by FX Medicine talks about Endometriosis and Immunity with Leah Hechtman, it is a fantastic episode. Can I contribute content to FX Medicine? I'm a researcher or health professional with expertise in a particular field, how can I become involved and contribute to FX Medicine? We are always on the look out for health professionals to write for us, or to be interviewed on the podcast. We welcome original content from writers with a health science background, using recent scientific journals as a primary source of reference. Writers for FX Medicine will be required to submit their work, meeting our style guide for layout and referencing and produce work that fits into our monthly themes. Please get in touch with us, to discuss your ideas on more detail. 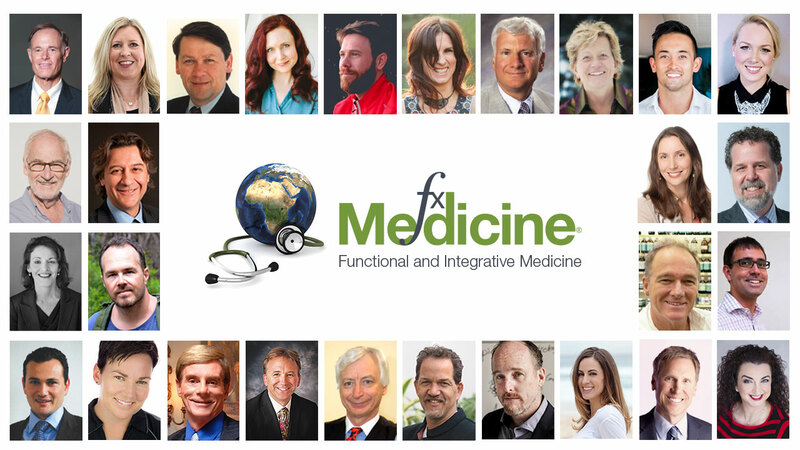 FX Medicine is, by design, a community of health professionals, researchers and other relevant members of the integrative and functional medicine industry committed to raising awareness of evidence-based functional medicine practices. Please only get in contact with us, if you have qualifications in a relevant health science field that would would befit our community. FX Medicine is regularly contacted by various websites/orgnisations asking us to link to their posts from within our posts of a similar topic. This is NOT part of FX Medicine's brand DNA. The references that FX Medicine writers cite are, in general, peer reviewed research, not unverified blog posts. Please don't reach out to us with these kinds of requests. At FX Medicine, we're passionate about bringing you the content that you want. Have you got some ideas or suggestions to offer? Perhaps a guest you'd like us to interview on the podcast? Or a particular topic, health condition or industry issue you would like covered in and article or interview? Please, let us know and we will do our best to accomodate your desired topic! FX Medicine: Feedback Welcomed from our friends and followers from FX Medicine on Vimeo. We are so pleased you're loving the FX Medicine Podcast. 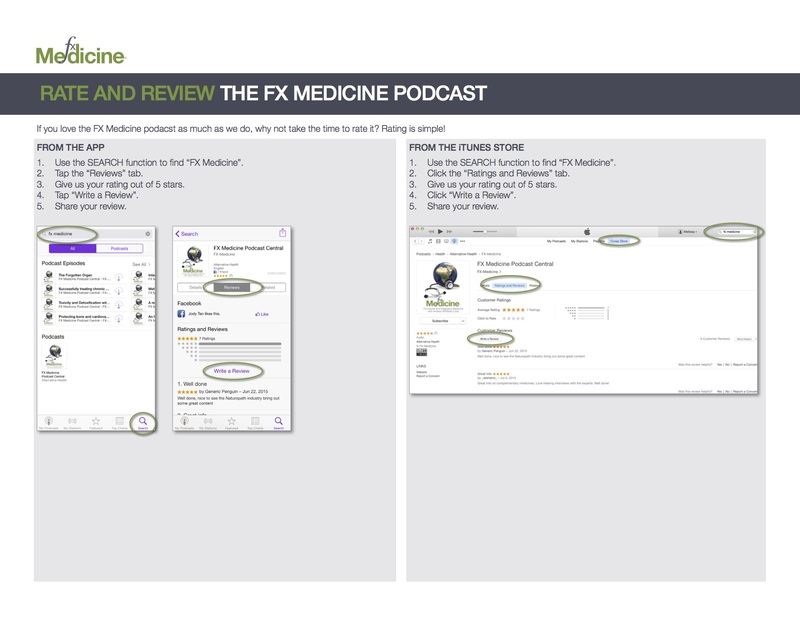 Please find below some instructions on how to rate and review the FX Medicine Podcast in iTunes. Doing so helps connect our podcast to more listeners to grow our wonderful community.